Returning a Marketplace item is similar to returning any other item. 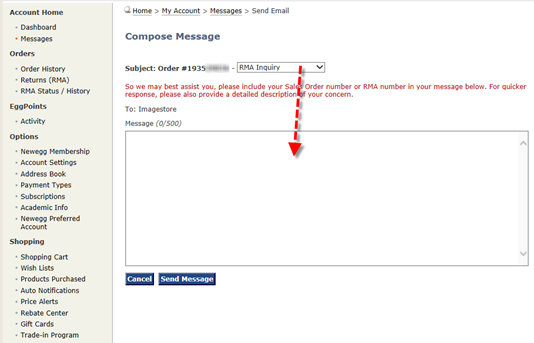 First, click here to request an RMA (Return Merchandise Authorization) number: Return an Item. If you see a message asking you to contact Customer Service, please call, email or chat with us, and we’ll let you know what to do. Most of the time, it’s because the item you are returning can only be returned if you contact the seller directly (some items must be returned to the seller who shipped the item, not Newegg). 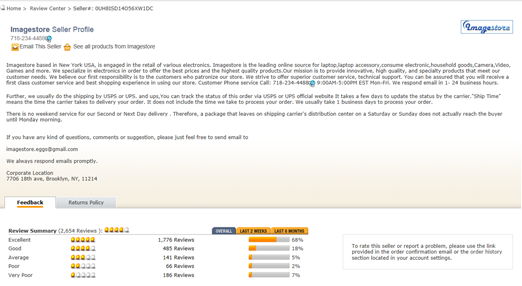 This tutorial will guide you through the process of returning a Marketplace item on Newegg.com. 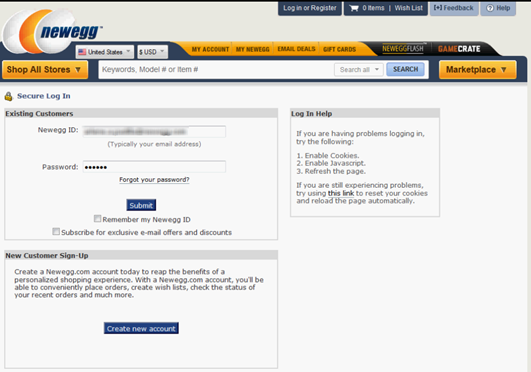 You can email the Marketplace seller by logging in to your Newegg account. To log in, simply click on the “Log in or Register” button at the top-right of the page. If you do not remember your Newegg ID and/or password, please see here or click on the Forgot Your Password link to receive the information by email. 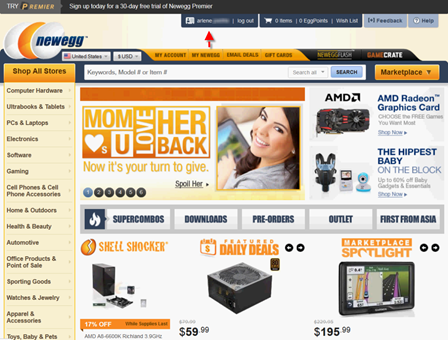 Once logged in to your Newegg account, you will be redirected to the Newegg homepage. To view your account information, please click on your name at the top of the page. You will then be directed to the My Account dashboard, which provides basic account information and recent order history. You may request a return by clicking on the Returns (RMA) option on the left side of the page. 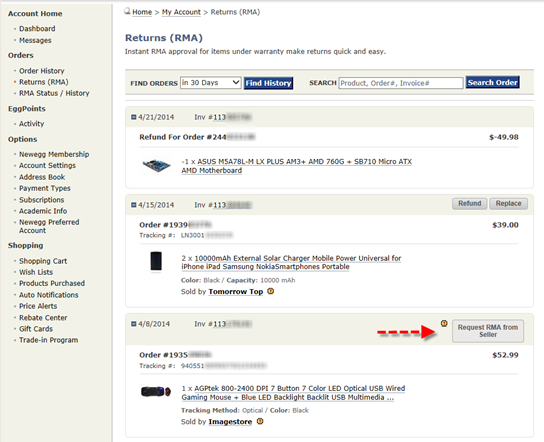 Select the “Request RMA from Seller” icon beside the order you would like to return. 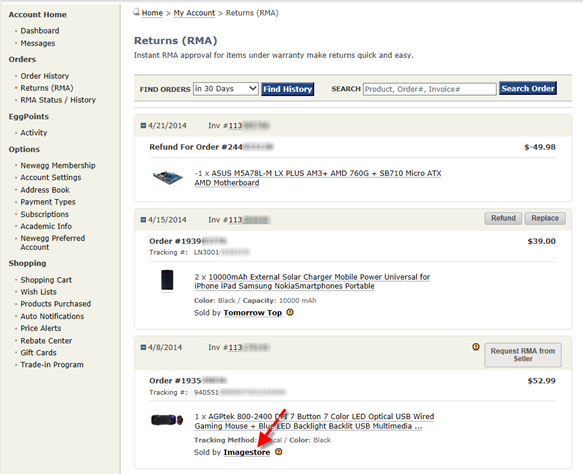 Products with the Refund and/or Replace option can be returned directly to Newegg. All others must be returned directly to the Marketplace seller. Next, select the RMA Inquiry subject option. In the space provided below, provide the Newegg Sales Order number and/or the RMA number if you already have one, and specify if you would like a refund or replacement. Also, provide a detailed description regarding the reason for return. Click the Send Message button to send off the email to the seller. The seller should respond to your email within 1-2 business days. Your email correspondence with the seller will be documented in your Newegg account. You will also receive a copy of the correspondence by email. If you would rather call the Marketplace seller, you can view their phone number by clicking on the seller’s name. The seller’s page will display their contact information, customer ratings and return policy.